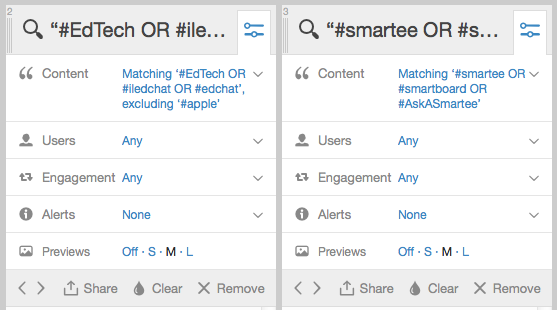 Love using TweetDeck but hate having to scroll horizontally across your 6+ Twitter feeds? Simply use a Boolean search to combine similar search strings into a single Twitter feed! BTW, this also works on the official Twitter page as well (see an example). Happy tweeting!